The UK pavilion in Shanghai promoted an image of a forward-thinking, modern and creative UK. It was award-winning and was one of the main memories of visitors. Milan Expo, which in 2015 has the theme ‘Feeding the Planet, Energy for Life’ promises to be bigger and better than ever before. More than 145 countries are to be represented at the event that lasts for six months – from May to October 2015. The audience is huge with an expected 20 million visitors and five million tickets already sold. One million of those have been sold in the fast-growing economies of Asia. UK Trade & Investment is aiming to repeat that success at Milan Expo 2015. The theme for the UK pavilion – called Grown in Britain – is one of sustainability. The centrepiece of the UK’s 1,910 square metre pavilion is a giant beehive constructed from aluminium. The pavilion, designed by the world-renowned British artist Wolfgang Buttress and announced by Prince Harry in Milan, will inform and entertain visitors with a mixture of science and culture. Eight government departments, co-ordinated by UKTI, are involved in making the best of this unique opportunity. In total the Government has a business target of £1billion from the Expo. The UK will showcase breakthroughs helping to provide solutions to the challenges posed by the rising global population through the agri-tech, creative industries, food and drink, healthcare, life sciences and technology. The UK Pavilion at Milan Expo 2015 has been built around a series of landscapes such as orchards and wild flower meadows which are designed to highlight the role of pollinators in the food chain, particularly the honey bee and its hive. This complex environment encapsulates some of the qualities the UK brings to international business and the global food challenge in particular. The UK is a place that benefits society and the whole business ecosystem, it is a welcoming environment that enables ideas to flourish, a base to explore new frontiers and a melting pot where people and technologies come together for a sustainable future. Therefore the metaphor of a bee hive is also perfect for describing the UK’s place in the business environment. The UK is already the leading place in Europe for entrepreneurs and is world-class in many business sectors from IT to aerospace, life sciences and creative industries. It is the perfect place for innovation and for exploring new markets and its cutting edge research base and world-leading universities is fertile ground for innovation. As well as a place where world-leading technology is developed, the UK has the lowest corporation tax rate in the G7. The UK is also a magnet for talent and one of the few countries expected to have labour supply growth over the next 15 years. The OECD estimates that 70 per cent of economic growth in the future will come from innovation and the UK is well-placed to take advantage of, and be at the forefront of, that. At the centre of this is a programme for business with the theme Grown in Britain. 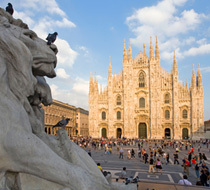 Seminars, networking events and opportunities to showcase the latest in UK innovation and sustainability to an international group of customers not just in the pavilion, but in Milan and elsewhere in the world, are at the heart of what UK Trade & Investment is working towards. Promoting the UK’s leading agri-tech, food and drink and environmental sustainability industries will not stop at the pavilion (nor are these the only sectors). Consulates and embassies around the world are developing plans to host their own events so the message of UK excellence in the technologies of the future goes far and wide. In fact Milan Expo is one in a long line of events that UKTI is working alongside to promote the expertise of the UK to international buyers at international-standard business events and conferences. In 2015 we also host the Rugby World Cup and in 2016 the Olympic Games will take place in Rio de Janeiro. The eyes of the world will be looking on and UKTI is ensuring that British companies have this opportunity to promote their products and services just as they did in the British Business Embassy at the London 2012 Olympics. Independent evidence shows the benefits to companies of working with UKTI. Customers on average earn an extra £100,000 within 18 months and become a third more productive in the first year alone. And 86 per cent of UKTI customers report that exporting led to a level of growth that would not otherwise be possible. Not only that, they are 11 per cent more likely to survive a recession if they have been exporting. So the case for exporting is clear, and Milan Expo, and the events that follow over the next 24 months, are the ideal time to put a British company in the limelight and start doing business overseas.